Kinks Coverband! Pee Wee! AH! 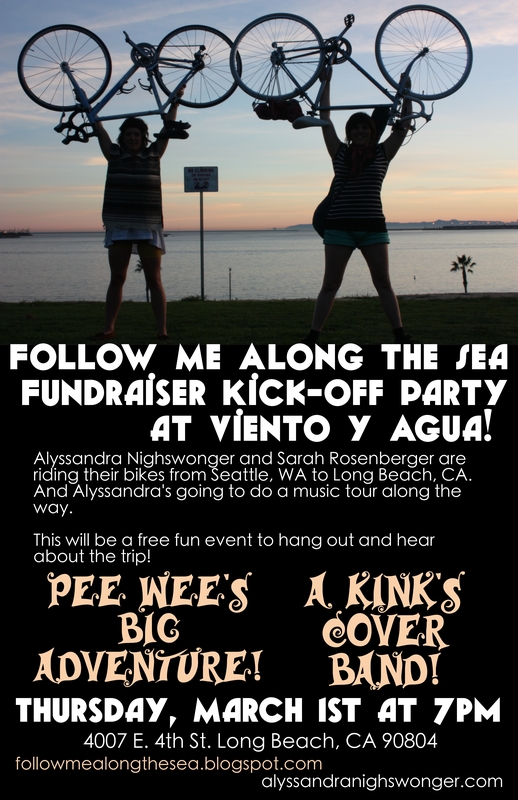 Just dropping a line to cordially invite you to our fundraiser Kickoff Party for the “Follow Me Along the Sea” bicycle tour! It’s a free event, we’re just going to start our IndieGoGo campaign, and screen our video before we screen Pee Wee’s Big Adventure! And I’ve put together a Kink’s Coverband to start off the night. We had our first practice on Tuesday. So. Much. Fun. It’ll be this upcoming Thursday, March 1st at the Viento y Agua Coffeehouse at 6pm. Free! All Ages! 4007 E. 4th St., Long Beach, CA. Hope to see you there!